First, let me wish everyone a safe, joyful, and prosperous new year. In case you missed it, this new year of 2018 is noteworthy on several levels. This is interesting.. Donald Trump, George W. Bush, and Bill Clinton were all born in a Dog year (1946). 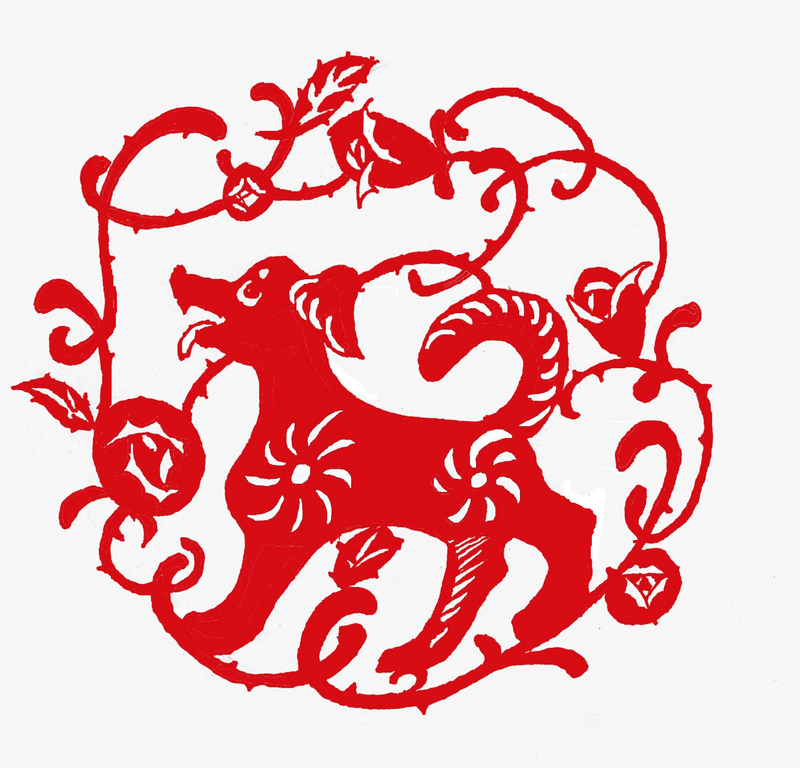 This is less interesting but may be useful at a dinner party – the Dog occupies the eleventh position in the Chinese zodiac, after the Rooster, and before the Pig. 2018 is designated as the third International Year of the Reef by the International Coral Reef Initiative, which may (or may not) have been inspired by Jimmy Buffett. The 2018 Winter Olympics will be held in South Korea February 9-25 – and broadcast by our good friends at KXAN Austin (NBC) — and on July 27, Mars will make its closest approach to Earth since 2003 and presumably we can finally find the Russian monkey (and hopefully is the same size we left him). 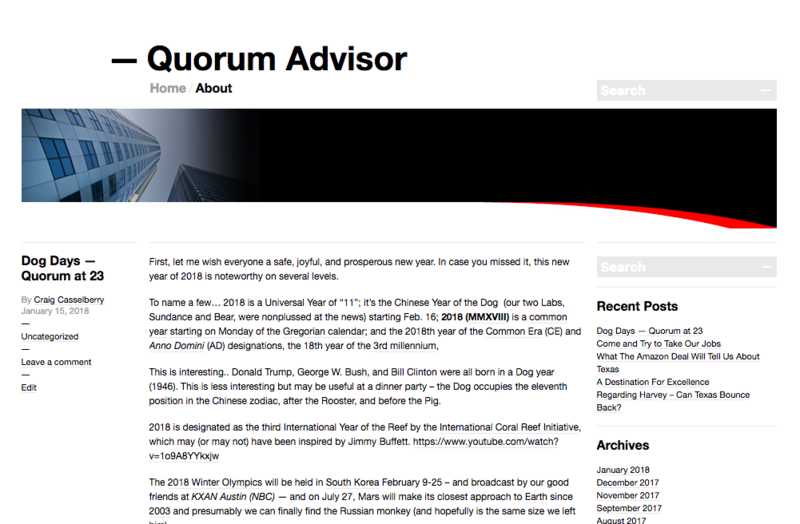 Most significantly of all, February of 2018 marks the 23rd full year in business for Quorum Public Affairs. “We Know Texas” from top to bottom, having spent 30 years in and around the public sector including work for two Texas Governors. When we started, we were ‘first in’ the new world of engaging grassroots citizens and opinion leaders to influence state and federal policy in Texas. Today, Quorum continues to operate at the intersection of business, communications, and government in Texas; we build strategic relationships with public officials, influencers, business leaders and voter groups for companies doing business in Texas. And 30 years gets you great relationships — our network is second to none. It’s also true that since 1994 we’ve advocated, built coalitions and solved policy and regulatory challenges for companies and issue coalitions large and small, including venerable brands like: Allstate, AT&T, Advantage Capital Partners, Boeing, CBRE, Conoco Phillips, Dell, Ergo Genesis, Exxon-Mobil, Fed-Ex, Ford, Grant Thornton, LIN Media, Nationwide, Pfizer, Shell, State Farm, Smith’s Group, Top Golf, USAA, and Wal-Mart. In 2017, we added new accounts like the National Governor’s Association; Corvel; Synexis; Cypress Equities; Battelle; Custom Technology Solutions; Fortium Partners; RSM; Energy Innnovation Partners; Viimed, CBRE, and others. 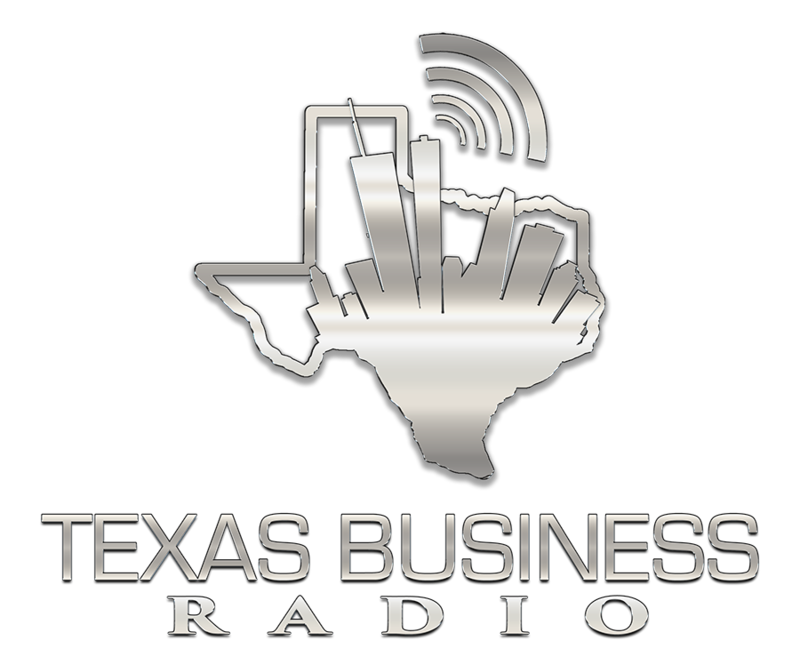 We stay closely connected to the business, economic development, and venture capital sectors via the Texas 2050 Coalition that we helped form and Governor Greg Abbott’s Texas Economic Development Corporation. We remain a first call for companies re-locate or expand in Texas market with financial incentives and facilitating business alliances to aid their growth. Texas is investing in the companies, too, through the state’s Texas Enterprise Fund and other incentives. In 2018, our interim legislative committees will be looking at issues across the board, with emphasis on a tax and regulatory environment that supports Texas’ competitive economic advantage in culture and cost; it’s a growth agenda and Texas continues to be a destination state. If you’re a numerologist you know that the “11” represented by 2018 is a Master number and will bring a spotlight to the realms of love, diplomacy, leadership and individuality. It’s also a number representing “inspiration, illumination and enlightenment,” all of which we’re adding to our resolutions list. Another resolution is to keep doing what we do best: helping companies and coalitions navigate political, legislative, and regulatory challenges, build alliances and direct the right message to the right audience. Don’t hesitate to reach out anytime if we can be a resource. All best wishes in the new year and I look forward to staying in touch.